Public cloud is casting a shadow over Dell Technologies’ margins, according to industry analysts who suggest that the company’s efforts to tap into the cloud market may actually hit its bottom line. The dire view of the cloud industry’s effect on Dell Technologies was outlined in a special report penned by Technology Business Research (TBR) principal analysts Stanley Stevens and Ezra Gottheil. The analysis, which was informed by events at the Dell Technologies World 2018 customer and partner conference in Las Vegas -- held between 30 April and 3 May -- suggested that while public cloud poses a challenge to Dell Technologies, the proliferation of new technologies and solutions presents an opportunity for the company. 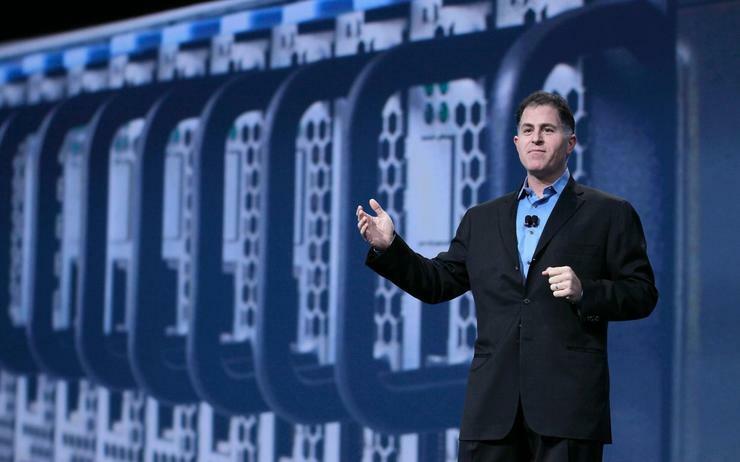 Dell Technologies, the analysts suggest, is addressing both challenges and opportunities well, successfully leveraging its broader scale and breadth. Regardless, the report does raise a few doubts over Dell Technologies’ current strategy to tackle the public cloud industry. The cloud market represents an extensive and lucrative buying landscape for the comprehensive compute and storage portfolio of the company's Dell EMC business. However, the analysts suggest that Dell Technologies' place in the cloud ecosystem could be limited by a current dynamic that sees just a handful of large providers like Amazon Web Services (AWS) and Microsoft dominate the market. “Cloud casts a shadow over Dell Technologies’ upbeat view of the future,” Stevens and Gottheil said in the report. “Specifically, the mega-scale global public cloud threatens the company’s margins. “Dell Technologies is a vendor to public cloud providers, but because of the small number of major public cloud vendors and those companies’ technological self-sufficiency, the greater the percentage of computing and storage housed in public clouds, the lower the potential for Dell Technologies’ bottom line,” the report stated. The report also dwells on some of the ways Dell Technologies is moving to tackle the potential threat that public cloud, and the broader cloud market might represent to the company. The analysts pointed out that during its conference, Dell Technologies’ spokespeople addressed the cloud threat in two ways, first highlighting multi-cloud, where workloads move between the public cloud and on-premises private clouds. Second, the spokespeople pointed out the general shift from cloud centralisation of resources to the edge or the on-premises distributed core – bolstered by edge-generated data from internet of things (IoT) solutions, where Dell Technologies does seem to have some drive and momentum. Late last year, the company revealed plans to invest US$1 billion over three years on new IoT products, solutions, labs, partner program and ecosystem. The tech giant unveiled its new IoT push on 10 October, announcing the creation of an IoT division and new consumption models. “TBR concurs that IoT exerts a decentralising influence on computing resources, but the influence of IoT is much smaller than the gravitational pull of centralised data storage and analysis,” the analysts’ report stated. It should be noted that the analysts also claimed that a lack of specificity around its IoT offerings at the April/May event reflects the fact that the next stage of the company’s IoT strategy is still under development. “But [a] lack of specificity or implication that Dell Technologies is a solutions provider also fits the maturing of the IoT market,” the report said.